Looking for an online casino to play at can be a daunting experience. There are many options available and many aspects to take into account. Quatro Casino offers a whole range of great options for its players, from a wide range of games to 24/7 support. 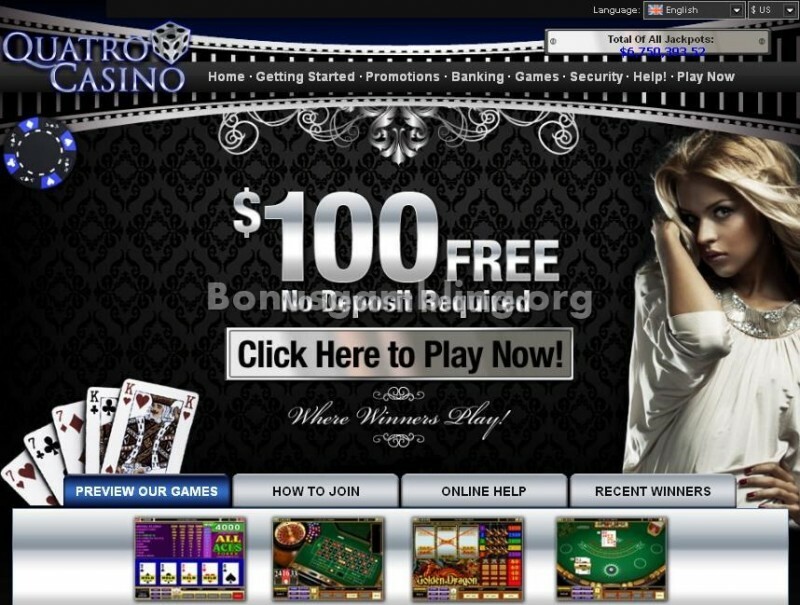 The elegant color-scheme of the casino makes the front page appealing and exciting. Set out clearly and simply, players can find all the information they may be looking for right on the home page of the casino. The casino is easy to navigate around and well set out. Quatro Casino is powered by the leading software developer, Microgaming. The software is available in a download version and a no download Flash version, making the casino accessible for PC and Mac players. The software supports play in multiple languages including English, French, German, Danish, Italian, Spanish, Swedish, Portuguese, Japanese, Greek, Chinese and others. It offers plenty of the features that Microgaming has become well-known for, including PlayCheck and Transaction History functions that allow you to keep track of your playing history. Quatro Casino offers more than 470 unique game titles in the categories of table games, card games, video poker, slots and progressive games. Popular game titles include multiple variations of blackjack, multiple variations of roulette, baccarat, craps, casino war, Caribbean draw poker, sic bo, Texas hold’em and plenty more. All games can be played for real money or for free in the fun mode of the casino. The customer support at Quatro Casino is available 24 hours a day, seven days a week. The support team is accessible via email, telephone or instant live chat with toll free telephone numbers available from Canada, the UK, Denmark and Germany. There is also an FAQ section on the website that contains the answers to many general questions and may be able to help you. Quatro Casino is licensed by the Lotteries and Gaming Authority of Malta. Only players who are 18 years of age or older are able to play at the casino and the casino does not accept players from the United States.